[S25] Claudia Orange, editor, The Dictionary of New Zealand Biography: Volume Three, 1900-1920 (Wellington, New Zealand: Auckland University Press, 1996), page 565-566. Hereinafter cited as Dictionary of N.Z. Biography: Volume Three. Lt.-Col. Murray Muirhead-Murray married Violet Edith Vavasour. [S6] G.E. Cokayne; with Vicary Gibbs, H.A. Doubleday, Geoffrey H. White, Duncan Warrand and Lord Howard de Walden, editors, The Complete Peerage of England, Scotland, Ireland, Great Britain and the United Kingdom, Extant, Extinct or Dormant, new ed., 13 volumes in 14 (1910-1959; reprint in 6 volumes, Gloucester, U.K.: Alan Sutton Publishing, 2000), volume II, page 22. Hereinafter cited as The Complete Peerage. [S6] Cokayne, and others, The Complete Peerage, volume II, page 22, says April 1684. 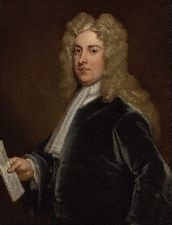 [S18] Matthew H.C.G., editor, Dictionary of National Biography on CD-ROM (Oxford, U.K.: Oxford University Press, 1995), reference "Pulteney, William 1684-1764". Hereinafter cited as Dictionary of National Biography. [S6] Cokayne, and others, The Complete Peerage, volume II, page 23. [S27] Claudia Orange, editor, The Dictionary of New Zealand Biography: Volume Five, 1941-1960 (Wellington, New Zealand: Auckland University Press, 2000), page 177-179. Hereinafter cited as Dictionary of N.Z. Biography: Volume Five. [S6] Cokayne, and others, The Complete Peerage, volume II, page 24. [S15] George Edward Cokayne, editor, The Complete Baronetage, 5 volumes (no date (c. 1900); reprint, Gloucester, U.K.: Alan Sutton Publishing, 1983), volume II, page 23. Hereinafter cited as The Complete Baronetage. From 27 December 1714, her married name became Pulteney.1 After her marriage, Anna Maria Gumley was styled as Countess of Bath on 14 July 1742. [S6] G.E. Cokayne; with Vicary Gibbs, H.A. Doubleday, Geoffrey H. White, Duncan Warrand and Lord Howard de Walden, editors, The Complete Peerage of England, Scotland, Ireland, Great Britain and the United Kingdom, Extant, Extinct or Dormant, new ed., 13 volumes in 14 (1910-1959; reprint in 6 volumes, Gloucester, U.K.: Alan Sutton Publishing, 2000), volume II, page 23. Hereinafter cited as The Complete Peerage.